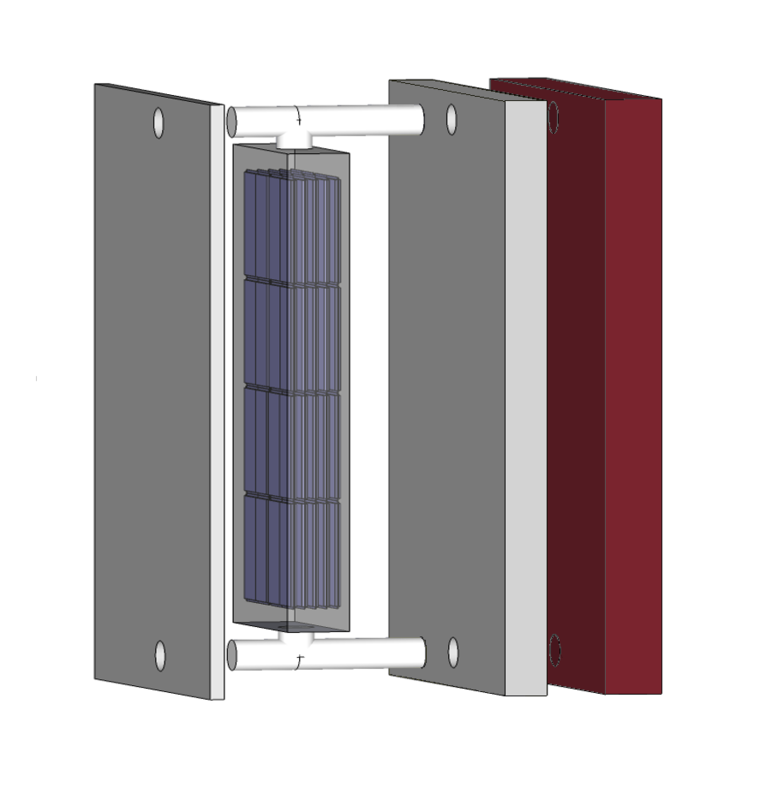 The E2VENT system that we will develop is an external thermal refurbishment solution with external cladding and air cavity (fig.1). 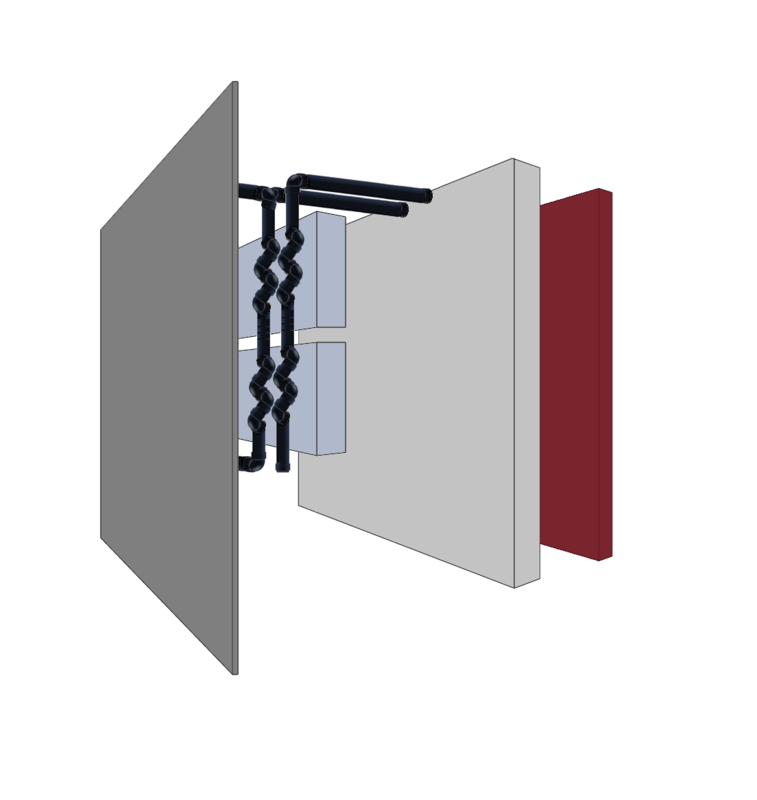 The distinctive feature of this system is the Smart Modular Heat Recovery Unit allowing us to recover energy from the extracted air while performing the air renewal using double flux heat exchanger in the air cavity (fig.2). This way the E2VENT system enhances the energetic performance of the building and fresh air renewal does not decrease it. Aiming at providing a heat storage system for the reduction of peak of electricity consumption and/or for cooling in summer, a Latent Heat Thermal Energy Storage based on phase change materials properties may be implemented if needed (fig.3). The proposed solution for building retrofitting should lead to 50% reduction of primary energy needs and significant CO2 emissions reduction. 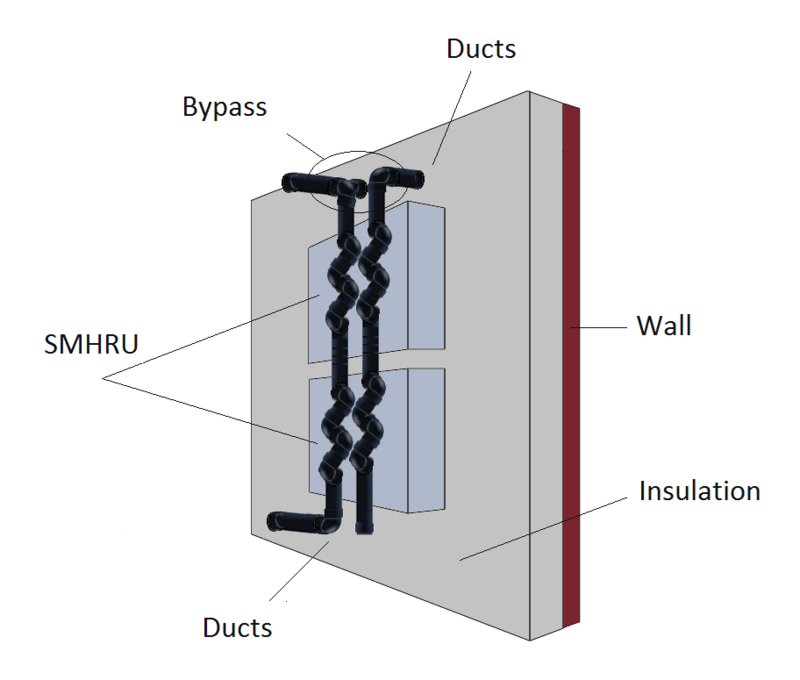 The main target of E2VENT system is the market associated to the retrofitting of multistorey residential buildings built in the 60’s 70’s. Those buildings are found in all Europe and can be characterized by their insulation weakness, bad air quality due to the lack of air renewal system and low architectural interest. The E2VENT module embeds two distinct active systems. The SMHRU and the LHTES. The LHTES is not designed for the air renewal but only to store the external potential energy in order to use it for heating or cooling. Therefore, it can be seen as a complementary system with high performance for heating and cooling especially aiming at reducing the peak loads. The BEM in the E2VENT project has two objectives. First one is to ensure the piloting of the different dynamic HVAC systems of the E2VENT module. The other one is to monitor the baseline of the pilot buildings and the impact of the renovation with the E2VENT module on the comfort and energy consumption of the associated thermal zones.